Art Carll-Tangora joined NAI Vegas in March of 2010 after relocating to Las Vegas in 2007 serving as a Senior Vice President with the NAI Global Special Assets team. Art has been involved in over $1.5 Billion of investment real estate transactions. His proven track record and unique experiences have created extraordinary results, while specializing in both disposition and acquisition of Multi-Family Investment properties. 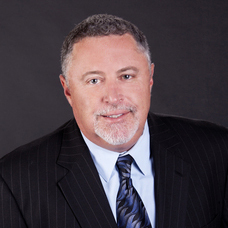 Prior to joining NAI, Tangora had more than 28 years of principal and managerial experience which included several years with Hendricks-Berkadia Apartment Real Estate Advisors where he served as both a broker and a member of the Senior management team. Mr. Tangora attended Eastern New Mexico University and is currently a member of the Southern Nevada Multi-Family Housing Association and the National Multi-Family Council. He is involved in local charities, which include his favorite, “The UNLV Rebel Athletic Fund”.